This year I decided to my traffic reports a little differently. I decided to focus on one thing that I learned during the previous month and focus less on my overall stats. Why the change? Well, one reason is it helps me to have a more compelling headline. It also helps me make the post more meaningful for you my readers. Hopefully going forward these posts will be more helpful and you’ll be able to learn something that you can apply to your site or blog. 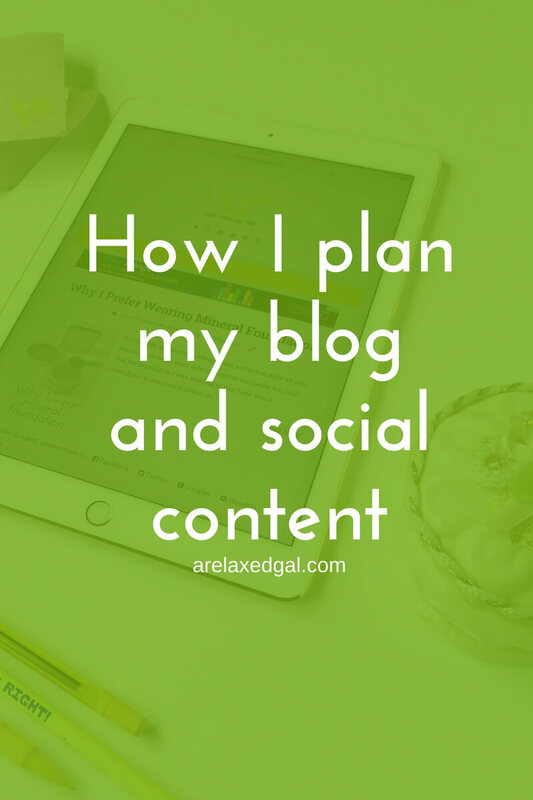 For the month of January, I’m focusing on planning blog content. Planning my content was something I tried and failed at last year. My failing was a combination of various reasons, but it was mostly due to me not taking it seriously or starting my planning early enough that I had ample time to execute against it. This year I vowed it would be different. So far it has been. I started planning my content one full month in advance. So far I have about three months of content planned and I’ve created about a third of it. So why did work this year and not last year? I created and am sticking to a four-step process. My first step was to decide what I was going to use to plan my content and set it up. I’m a visual person and I knew a calendar format would be the most effective way for me to plan. This narrowed down my choices some. I narrowed them down even more by determining what I could afford to spend this year on a content planning tool. That budget was $0. That left me with Google Calendar. With Google Calendar I’m not spending any money. I can visually see how many posts I have scheduled each day. I can even color code the posts to make it even more visual. It’s also easy to update as I can drag and drop items from one day or week to another. So far Google calendar has been working for me and I’ll continue using it through the end of the year. Nex,t I add major holidays to the calendar. After tha,t I add social and blog post content ideas around each holiday. After tha,t I added seasonal content ideas focusing on Spring, Summer, Fall and Winter. After that comes the lesser known holidays like National Hugging Day and National Potato Chip Day. These types of holidays make great social content and some can even spur blog post ideas. After plotting content ideas around major and lesser known holidays I have a good portion of my calendar filled up. This makes it easier to quickly fill in the remaining days. To start of I fill in the first three months of the year with ideas leaving room for things to change. Especially for my social posts. Once I have about three months of content ideas I begin creating my content. This requires me to do some research on each content idea, write blog posts, take pictures, create graphics, write and pre-schedule social posts. I decided this year to not write my posts in the blog platform, but instead, write them in a Google doc and then copy and paste the content into the platform where I would do the formatting. I wish I had thought of this sooner. It’s made writing, editing and formatting my content so much easier. This also allows me to have my posts saved in another place as a backup. To create and pre-schedule my social media posts I’ve been using multiple social schedulers. One of them is SocialPilot which I’m testing this year. In SocialPilot I can create posts for Pinterest, Twitter, Facebook, and Instagram all at the same time or separately. So far there have been several things about SocialPilot I like and other things I don’t. I plan to do a detailed post about SocialPilot later this year. The other schedulers I use are HootSuite for Twitter and Boardbooster for Pinterest. I wish I could say that all of my pre-planning has not just benefited me organizationally and time-wise, but also in my site and social media numbers. So far it hasn’t as much of an impact as I’d like. In January I saw decreases across my pageviews, sessions and unique visitors. I also saw anemic growth in my social channels and email list. When January started I had about 200 posts to go through. I’ve got about 130 left which means I updated about 70 posts. This meets my 2.5 a day goal and keeps me on track of completing this by end of Q1. In January my organic traffic increased to 27.9% from 23% the month prior. I’m not surprised by the small increase because I don’t anticipate I won’t see much change in my organic traffic for several weeks. Pinterest and Direct Traffic saw decreases, but Google and Facebook both saw decent gains. Looking at my site stats it’s a little mixed on whether or not I retained readers in January. My pageviews were down slightly month-over-month, but my bounce rate decreased which is a good thing. Also the number of pages viewed per session increased by over 5% month-over-month. I’m hoping to see both my bounce rate and pages viewed per session increase over time as I’m in the process of adding related post links to older posts which should encourage readers to read more and stick around longer. I knew that growing a social following was hard, but I didn’t realize how hard until I decided to actually try. I admit I’m not one to stop and take a picture of things around me. Partly because I have places to be at certain times during the day and can’t spend time stopping to get the just the right angle and light for a picture. Twitter and Instagram have been really frustrating. There are several people out there who have been playing the ‘I follow you, you follow me game.’ A game I don’t and will not play. As a result, my follower numbers have fluctuated each day. One day they’ve increased, the next they were back to where I started. I’m going to be trying some things in February to see if they work better. After the steady follower growth that I saw on Pinterest last year it seems to have slowed down. Part of it could be I inadvertently slowed down on my pinning during the last quarter. I’m working on a strategy that will allow me to pin more each day without incurring additional costs outside of BoardBooster and SocialPilot. In January I had 36 new unique subscriptions which averages to a little more than one a day. Pretty anemic, but not a surprise since I didn’t put any work into my email subscriptions until the last week of January. I’ve added a couple of new opt-ins and created automated workflows for them. I have to say I’m really excited about MailerLite adding the automated workflow feature for the free plan I’m using. With the automated workflow feature, I can set up a series of emails based on actions or inaction that subscribers make. Nothing to report here. I’ve applied for a few opportunities and are waiting to hear back. I’m not sure if I’ll get them though because of my anemic social following. I captured at least three images that I can add to my image library and use for multiple posts. What’s your content planning process? Make sure you check your inbox to confirm your subscription so you will get your free blog stat trackers. 2 FREE printables! 1 blog stat printable and 1 social media stat printable. Both are only available exclusively to subscribers and can help you track key stats for your blog and social media profiles each month.